Dr. Rau has been associated with the world’s foremost clinic for holistic medicine and dentistry, designed to create individual treatment plans based on the patient’s constitution, needs and therapy. He studied medicine in both Europe and the United States, and specializes in all chronic diseases, lupus, rheumatoid arthritis and allergies, among others. He is a member of several medical societies and educational organizations related to holistic medicine and has been published extensively. 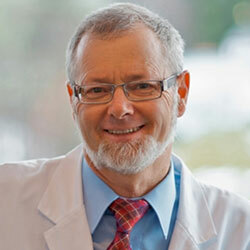 To read more about Dr. Rau, visit his personal site.